Fully furnished and well equipped 2 bedroom apartment, with 2 shared bathrooms sleeping 4 people, with air-con in every room. Large shared pool and separate children' pool and spacious garden area. Fully furnished and well equipped 2 bedroom apartment, with 2 shared bathrooms sleeping 4 people, with air con in every room. Large shared pool and separate children's pool and spacious garden area for children to play in. This apartment has a wonderful pool and mountain view. Being only a 10-minute walk to the Hisaronu Center with many restaurants bars and cafes. Lounge: Lovely bright open plan lounge/dining room and a table with seating for 4 people, opens onto a large balcony facing the pool and well-kept garden, modern sofas with matching coffee table, TV with Satellite ( Turkish and English Channels ), DVD player, Patio Doors, Terrace. Prime Apartments has a prime location, being just a 10 minutes walking distance from Hisaronu Town Centre, where you can find shops, restaurants, bars, a funfair, and a Go-Kart area, etc. This modern 2 bedroom apartment sleeps up to 4 people. All rooms have air conditioning, and there is a fully equipped kitchen which opens onto a balcony over-looking the main pool and gardens. 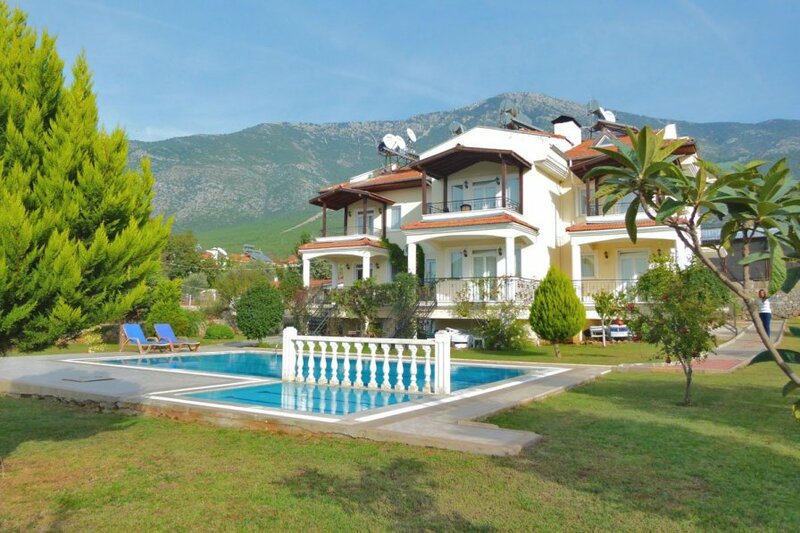 This small complex consists of just 6 apartments and has a large shared pool and a separate children’s pool, which are set in a beautifully landscaped garden with stunning mountain views. There is also free unlimited wifi around the complex. The apartment has everything you need for a stress-free holiday, so you can completely unwind and enjoy what this stunning area has to offer.